A fire at your home or business can destroy years of hard work and a lifetime of memories in a matter of minutes. 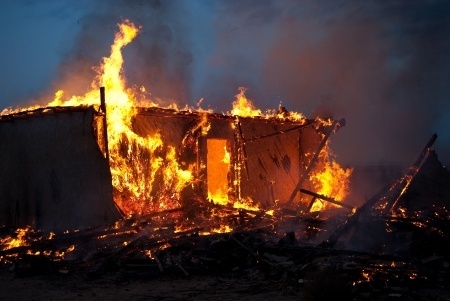 Unfortunately, fires can lead to intense, stressful disputes about the validity and value of the insurance claim — even though almost all homeowner’s policies provide fire coverage. Imagine how you would feel if you’re insurance company not only denied your valid claim for fire damage coverage, but also accused you of starting the fire yourself. Accusing policyholders of arson is an insurance company tactic to avoid paying claims for fire damage. It is very important to protect your rights as a policyholder and understand the fire damage claim process. If there are any discrepancies between you and your insurer, then it may be time to consult with an experienced and highly skilled insurance lawyer. For more information or to schedule an appointment with an experienced fire damage claims lawyer at Bell & White email or call us today White: 210-374-6292 | Bell: 210-584-8538 | Del Rio: 830-212-7382.